In 926, the representatives of Croatian churches were called together by Pope Ivan X in order to conduct a reform of the then current church system. The Great Assembly took place in Split and, in accordance with the wishes of Pope Ivan X, Slavic languages were outlawed in the Church, with the only accepted language for Mass and official Church business being Latin. A tough ask in Croatia as very few spoke Latin!!! In the middle of this debate and fighting fervently on the side of Old Slavic language was Grgur Ninski, also known as Gregory of Nin. In the midst of a tumultous series of political and Church intrigues, he became the champion of the cause and today is recognised as a Croatian national hero and one of the fathers of the Croatian language. He lost his position as a result. In 1570, the Dalmatic region of Croatia was allowed to celebrate the mass in their native tongue. Finally, in 1962 during the Second Vatican Council, the Catholic Church adopted the same policy and the Latin Mass changed forever. 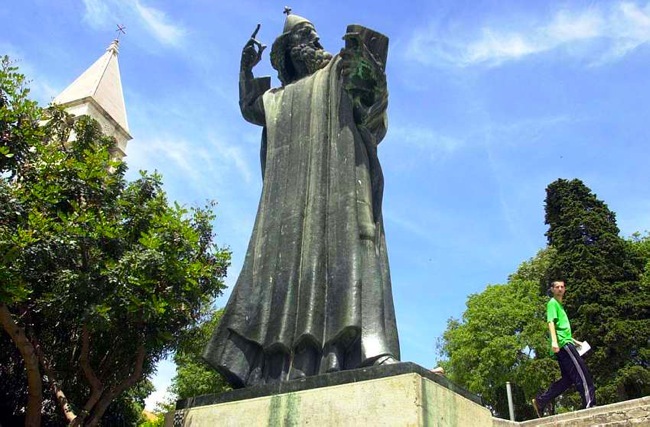 The 8.5-metre (28 ft) tall Split statue of Gregory of Nin by Ivan Meštrović s a much visited sight in town, which the toe of the statue shows. Rubbing the Split statue’s toe is said to bring good luck. The toe has been worn smooth and shiny as a result. The Split statue was erected in September 1929 in the Peristyle of Diocletian’s Palace and can be seen in postcards of the pre-World War II period. In 1941, the statue was moved outside the city by Italian occupying forces who realised its potential to insight the locals and be a cause of rebellion. In 1954, it was re-erected in a different location, to the north of the Palace and Old Town of Split, just outside the Golden Gate, where it is to date. 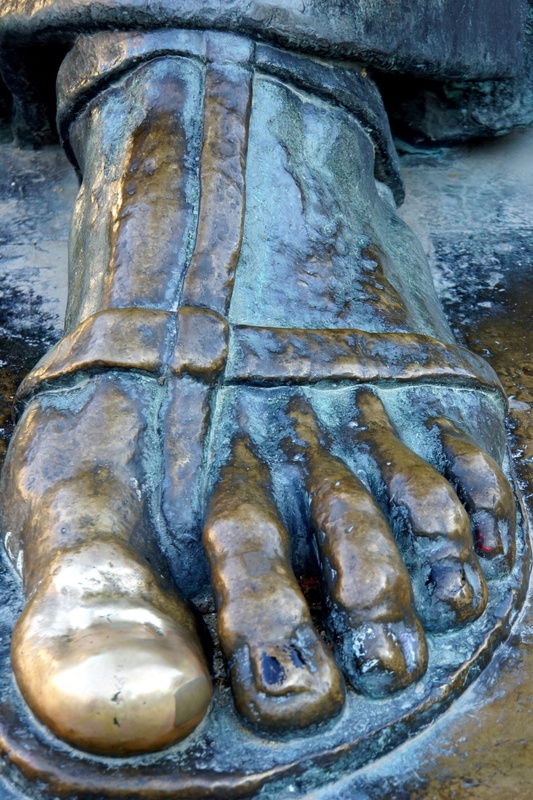 A major restoration of the Split statue took place between 2013 and 2015 but they left the toe showing to allow those who needed a bit of luck, the opportunity.